Overview NEW Flyer Coming Soon! Welcome to Mexico. You will be met today at the airport by one of our local hosts and provided a private transfer to your hotel for the evening. 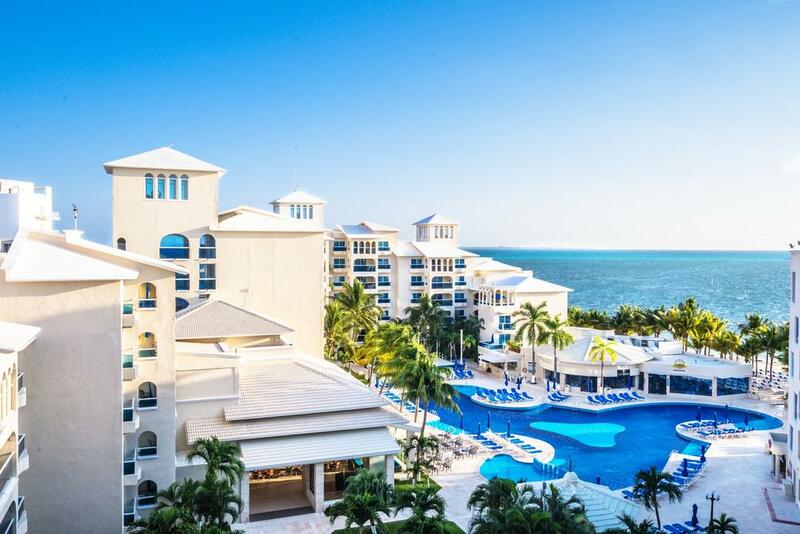 This afternoon, enjoy a welcome drink and attend a briefing at the hotel conducted by your Tour Manager. 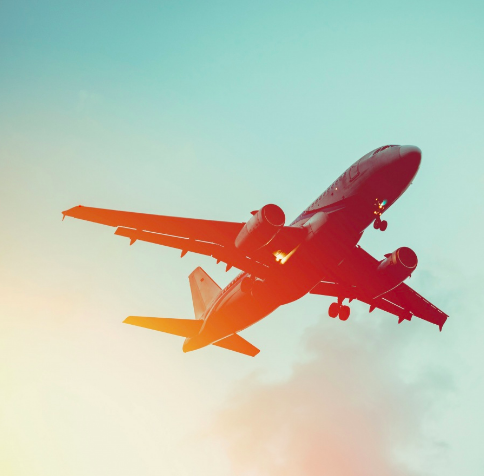 Our journey of exploration begins as we depart for Ek Balam, the Mayan City of the Jaguar, once a thriving city and the most extensive Mayan site. 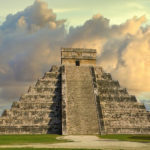 The site offers a glimpse into the impressive culture of the Maya. Filled with ornate statues, incredible architecture, and highlighted by the Acropolis which houses murals that are true masterworks. 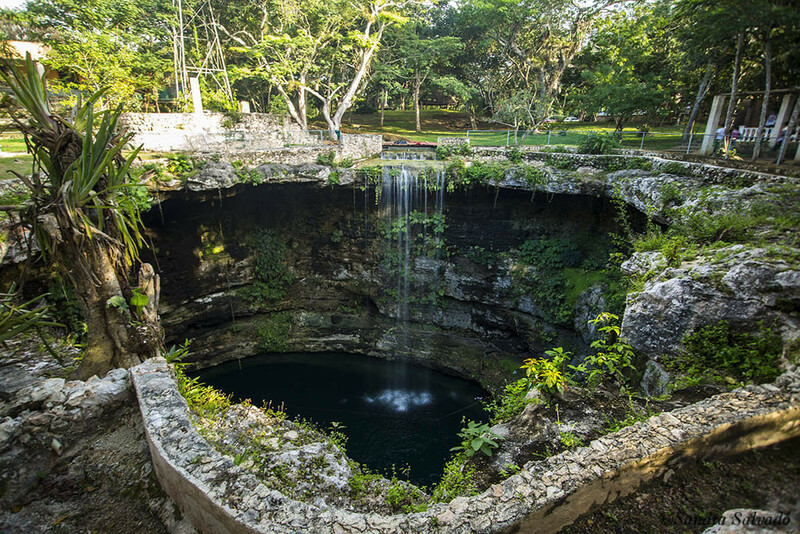 From here, continue to Hacienda Selva Maya for lunch and the opportunity to see one of the many Cenotes (sink holes). 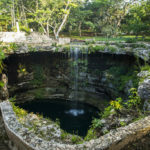 Found throughout the lush jungle landscape of the Yucatan Peninsula Cenotes were more than just natural sources of groundwater, the Maya also believed them to be gateways to the afterlife. Late afternoon arrival at our hotel and time to relax before this evening’s dinner at the hotel. In the late 1800s to early 1900s Haciendas, Henequeneras (Henequen Estates) thrived throughout the region, and Sotuta de Peon remains as one of the few continuously operating Haciendas. 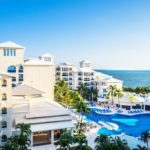 This morning we will tour the Hacienda for a look back at the era of “Green Gold.” After lunch on the Hacienda, we will continue to the “Historic Fortified City of Campeche.” The evening is yours to explore the vibrant port town, rich with culture and cuisine. the many distinctive locally owned restaurants and cafes. This morning we turn back to Uxmal. 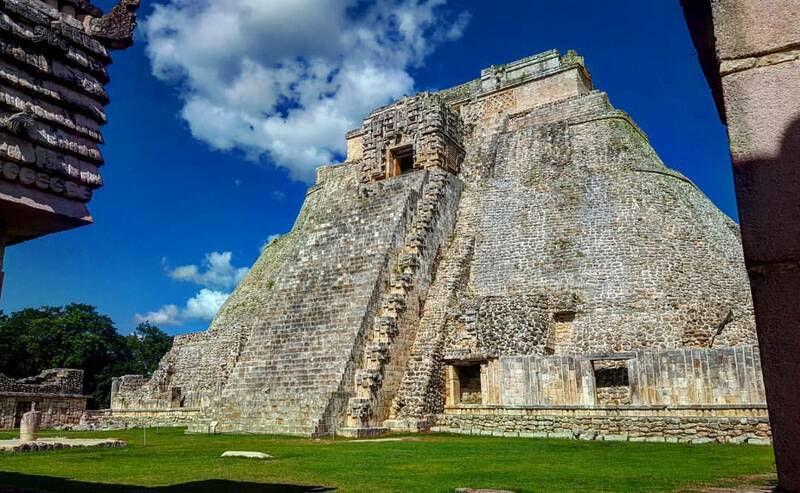 While the region has many archaeological sites, few are as impressive as Uxmal, also a UNESCO World Heritage Site, whose pyramids and temples rise above the dense surrounding jungle. Uxmal contains what many consider to be the finest examples of the Puuc architectural style, especially its massive, terraced Governor’s Palace. More than 20,000 intricately carved stones on its exterior create the look of fine lacework. Lunch at the hotel, after lunch we visit the village of Santa Elena and the humble Mayan home of Don Hernan and Doña Azaria to learn more about the Mayan traditions and way of living. This afternoon visit the nearby Chocolate Museum and discover the origins and history of this modern day indulgence. The evening is at your leisure. An early departure this morning for Celestun. 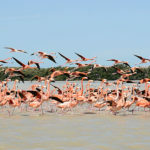 We will venture through the mangroves on small boats to experience the Biological Preserves diverse wildlife, highlighted by an abundance of flamingos. Lunch on your own today on the beaches of Celestun. 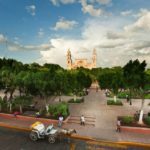 Arrive this afternoon to Merida “The White City.” and have the evening on your own to explore the cultural center of the Yucatan Peninsula. 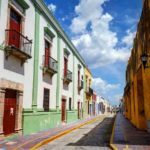 Join your Tour Manager for a morning tour of the Colonial City of Merida. 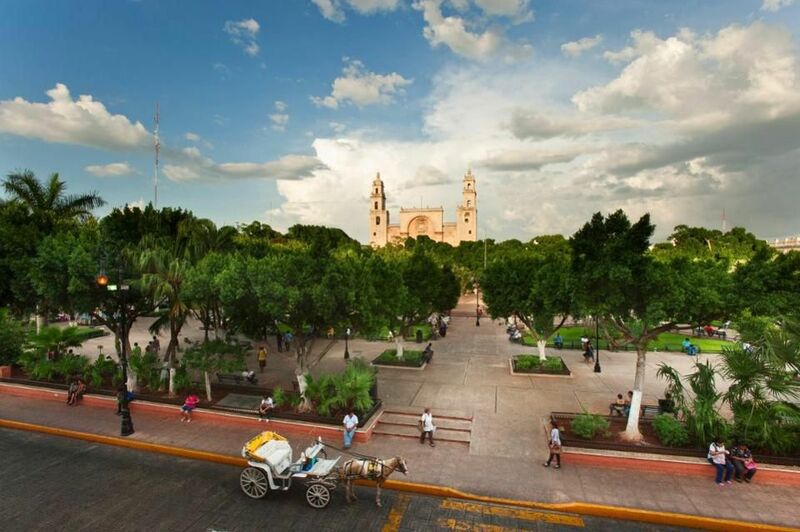 Explore some of the city’s most captivating neighborhoods, before arriving in the zocalo where Meridians meet, socialize and conduct business. In its heart is the Palacio de Gobierno or State Government Building. Stepping inside, you’ll view the stunning Pacheco murals, depicting the conquest of the Yucatan in what can only be described as an unvarnished manner. Next will be a visit to the stately Casa de Montejo, the 16th-century home of the father and son who brought the peninsula under colonial control. Although it was converted to a bank some 25 years ago, its exquisite, French-style architectural details remain untouched. Enjoy lunch at a local restaurant before returning to our hotel for an afternoon at your leisure to rest or continue exploring the city. 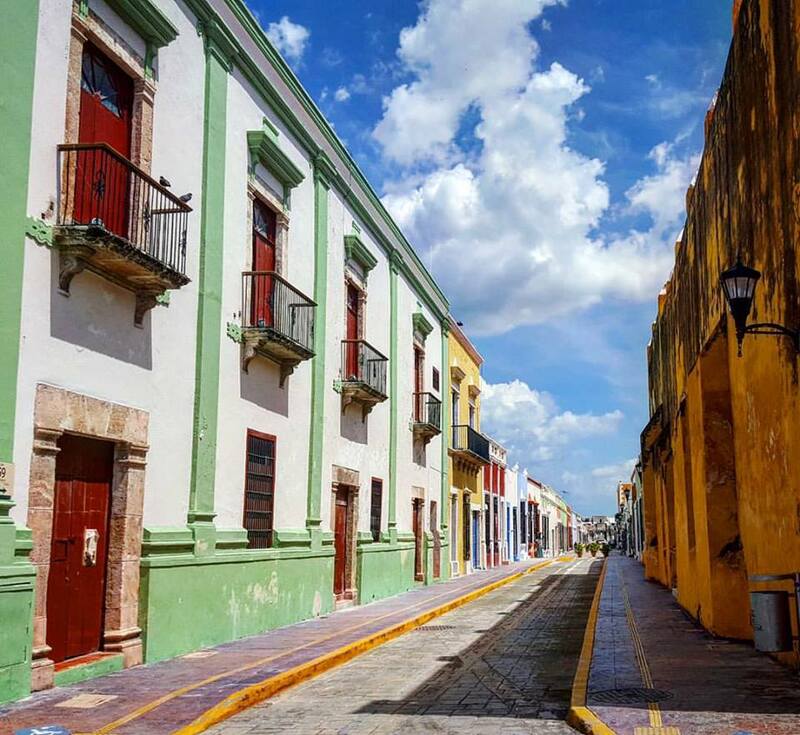 “Pueblos Magicos.” With cobblestone streets and vibrant yellow Colonial buildings, Izamal is a jewel of the Yucatan. 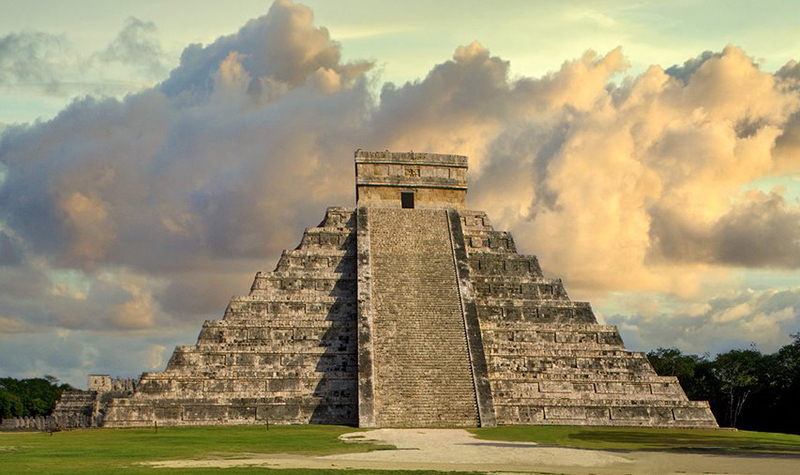 This afternoon we head to the famous Mayan-Toltec ruins of Chichen Itza, also a UNESCO World Heritage Site. The entire site is dominated by the Temple of Kukulcan, the plumed snake god that led the Toltec on their migration to Yucatan. 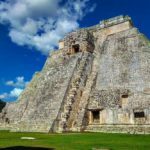 At the foot of its stairs lurks a large, carved snakehead that during the spring and fall equinox, casts a shadow as if Kukulcan were slithering out of the temple and down the pyramid. You’ll also see the Sacred Well, Caracol Observatory, the Court of Columns and the impressive ball court which is the largest in Central America. Dinner at the hotel. 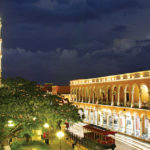 Returning to Cancun today, travel through the charming colonial town of Valladolid, another of Mexico’s Pueblos Magicos. 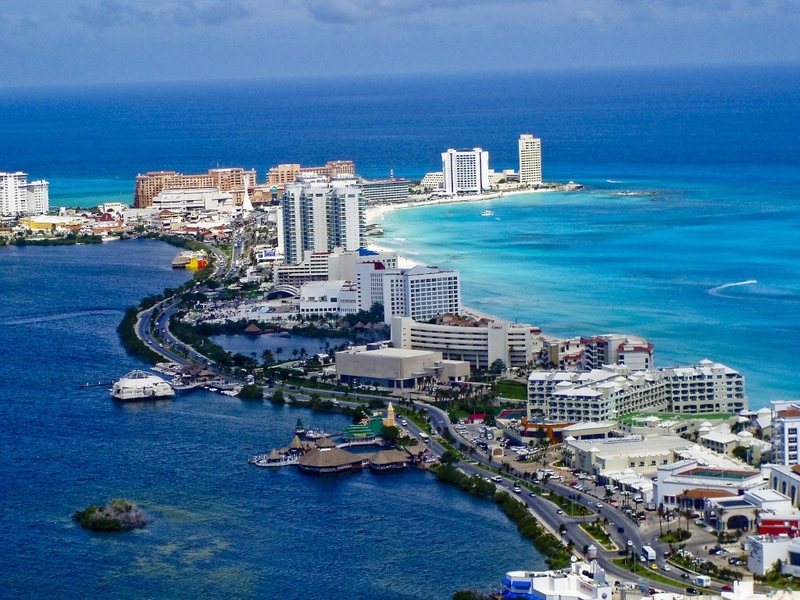 After lunch, continue to Cancun where the afternoon is your to relax. Farewell dinner this evening. 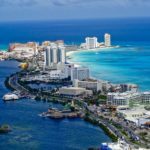 All day transfers to Cancun International Airport.